Lab high shear mixer_Anhui Bunkin Chemical Machinery Co.,LTD. 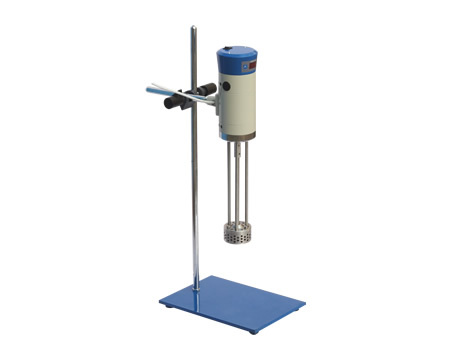 Lab High Shear Emulsifier is a machine designed for small quantity experiment.it suitable for emulsifying, homogenizing and dispersing materials in industries such as biology, pharmacy, food, cosmetic, ink and pesticides etc. 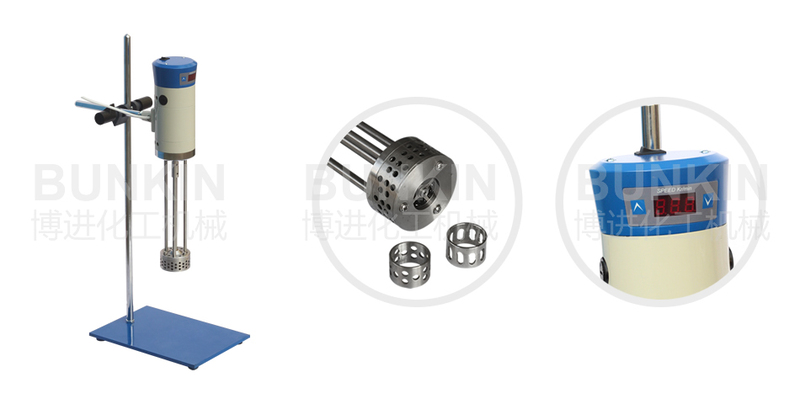 Applicable materials: Applicable for production process for solution, gel, suspension, or emulsion of solid - liquid, liquid? liquid materials such as juice, soup bases, milk production, tissue, homogenate, cosmetics, surfactants, asphalt, emulsifier, oil field chemicals etc. Precision-engineered stator and rotor match with each other perfectly. High-speed rotation motor drives the rotor to rotate at high speed, which generates vacuum conditions between the stator and rotor. So materials are sucked into the chamber from the top of the stator& rotor and also from the bottom. Rotor driven by the strong kinetic energy creates high linear speed, which puts the materials under comprehensive action of strong crushing, tearing, centrifugal extrusion, hydraulic friction etc between the precision-engineered gap of the stator and rotor. After processed, the materials are flying out and generate strong turbulence under the action of forces from different direction. Stable emulsion is obtained after repeated disaggregation, dispersion, homogenization, shearing for a certain period with help of mature production technology and certain quantity emulsifier.